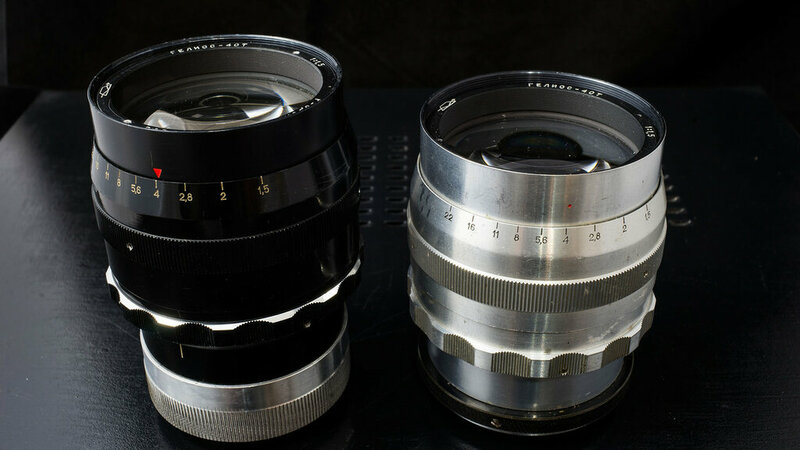 Here is two rare Helios-40T 85mm/1.5 made for soviet TV camera KT-27. Main difference with normal one is the lack of preset ring, well and overall different body. Coating is also different from normal ones (especialy visible on the aluminium one). 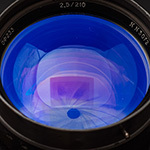 They have original big hood, typical for TV lenses. Those TV version had various mount, so they need to be adapted. 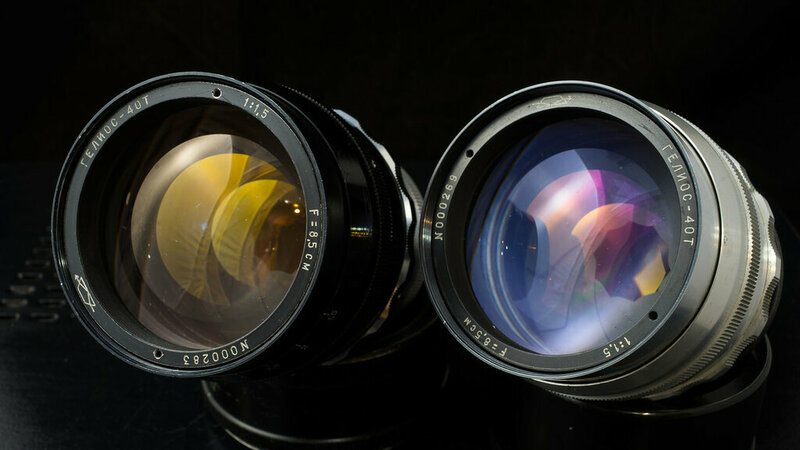 The black one was adapted to LTM (not coupled) whereas the aluminium one is M42. The black one is not mine, I will send it soon to a buyer in France. Since it's very rare to have 2 different one at the same place, I took the opportunity to take a photo .